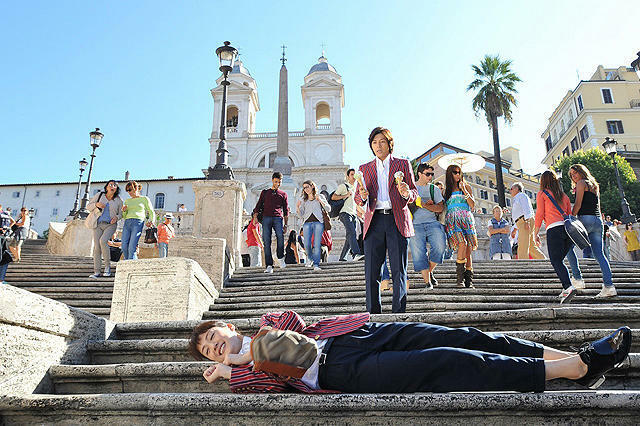 Set two years after after "Hotaru no Hikari 2" drama series, Hotaru Amemiya learns that her boss and now husband Seichi Takano has dreamed of vacationing in Rome, Italy like in the movie "Roman Holiday". Hotaru then makes plans to go to Rome for their honeymoon. 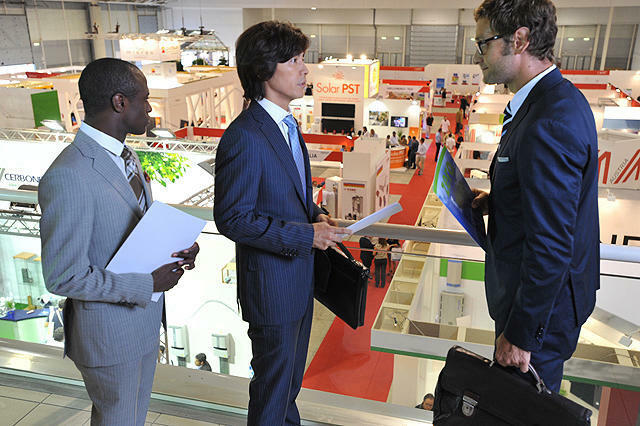 Rome, Italy prepare ... Hotaru Amemiy and Seichi Takano are coming! Filming begins in the middle of August, 2011 and will be shot on location in Rome, Italy. Bibi Jan 24 2018 11:08 pm A truly job well done. I have finished watching season 1, 2, and this movie and I am really happy that I wasn't prejudice with the poster for the series. This was the most romantic j-dorama series I have ever watched. Romantic, but never to the point of boredom and cringe. I liked Haruka Ayase. She's a very good actress and she portrayed the "himono-onna" very well. I liked Naohito Fujiki. Seems like there's no other actor more suited for the role than him. I liked both their charcaters in this series. I liked how light they made it - no complicated love triangles and so on and so forth. Through out the series, I felt how real their love was for each other, and how much they grow in their relationship. Thumbs up for this drama! Must-watch! good Dec 12 2016 4:39 am watched the whole series . it is so sad i feel like crying . i'm seriously gonna miss fujiki kun and ayase chan . i really wish they would continue making more sequels of the story . need more buchoo and ahomiya romance. BubbleMovies Apr 24 2015 9:17 am There is nothing nnot to like about this unit, the remote control is even programmable so it can be used with your existing HDTV, Blu-ray player and other peripherals. Thee television viewing optikons are endless - let your thoughts wander. Think about a planet that you just just usually do not have too shell out for cable television for that purpose that you can watch all youu might need to have about thee net. Hosted Desktop Providers Sep 30 2014 1:14 pm If you desire to get a good deal from this piece off writing then you have to apply such techniques to your won wweb site. Clarkdale44 Apr 11 2014 9:13 am Hotaru no Hikari would be the most terrific sequential series i have ever seen. I am totally amazed by the performance of Haruka Ayase. I knew that she had that capability and talent but it was beyond my imagination. She did a tremendous job and supporting her Naohito Fujiki acted very good. I can't imagine anyone else playing the role of Seiichi Takano. Its sad though this is the last movie, i wish there could be more in coming future. Well anyway, i will recommend it to all. If you are about to watch this movie, make sure you watch previous series before this, otherwise you won't be able to understand the storyline. Hotaru No Hikari 1 and 2 then this movie. juguete ecológico Dec 17 2013 4:41 pm Whеn someone writes an paragraph he/she maintains the plan of a user in his/her brain that hоw a user can bе aware of it. So that'ѕ why this article is amazing. Thanks! DaDa Oct 16 2012 3:00 pm Is anybody else sad that this movie is the end of the Hotaru no Hikari series? I wish this series could go on and on and on...I never get tired of watching Amemiya x Buchou's craziness. So when this movie FINALLY gets released to us international people it will be bittersweet...I'll probably cry at the end. edlyn Oct 13 2012 12:26 pm I really like the story if HOTARU NO HIKARI 1&2 I like it very much.. Is HOTARU NO HIKARI MOVIE have a translation in ENGLISH.. And are you going to sell the DVD Here in the PHILLIPPINES ? Me and my friends are willing to watch that movie. o u i Oct 04 2012 8:03 am i am one who admire all about of two parts of the series, especially their house and the balcony. but i don't know if i can see this movie in thai or eng sub and where i can buy it in bangkok? 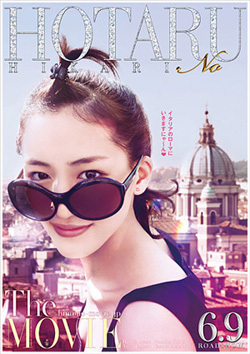 Pana Dec 02 2011 11:07 am OMG I LOVE both Hotaru no Hikari I and II, and its shot in Rome for this movie, thats just too perfect! Definitely going to be watching this, don't want this to end actually! XP Think Nao plays Seichi so well, and Ayase is just too funny in this! tamatheturtle Nov 26 2011 9:55 pm OMFG this is like seriously the BEST DRAMA EVER! & now its gonna be a movie?! AMAZING. they are the best couple<3 soo adorable. & i hope this info is right……………….YUYA TEGOSHI?! in this movie……omg tego~~~~~~~~~~~~~~~~<3 omfg this movie is going to be one of the best movies EVER! i cannot wait!! tamatheturtle Nov 26 2011 9:55 pm OMFG this is like seriously the BEST DRAMA EVER! & now its gonna be a movie?! AMAZING. they are the best couple<3 soo adorable. & i hope this info is right...................YUYA TEGOSHI?! in this movie......omg tego~~~~~~~~~~~~~~~~<3 omfg this movie is going to be one of the best movies EVER! i cannot wait!! Daisy Oct 02 2011 2:21 pm I'm so happy this movie is being made!!! I love this couple so much!! !